It is kind of funny that after reading this post (i like you already @dacoinminster) that going to bitbargain and reading their trust section, it's laying it on a bit thick. I trusted Santa and he scammed me when i turned 10! since that day ive never trusted any one. Another good thing to do is to always operate on virtual machine or live cd this way you are sure that no data is left on the computer you used. This might not be so useful for your wallets but is a generally good idea for save/anonymous use of computer/internet. Funny thing is, Bitcoins supposed to be anonymous but it so isnt anymore. MtGox wants your full name, you advise everybody to know their full name when in trade, so its pretty much just another currency isnt it. Hopefully Ripple fixes the mtgox anonymonity problem. 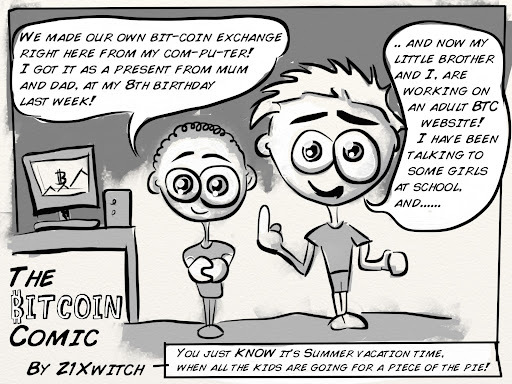 If you don't like MtGox and live in a large city you should try localbitcoins.com. Plenty of people there willing to do cash-only transactions. What's your experience been with this? I'm meeting someone tomorrow .. any tips? Sell an Amazon gift card at a discount. And use escrow. The BTC community is great, but can be sketchy as hell. Great post, would read again. precious advice, i started to follow this rulle when scammed several time. Contact me. Im selling licenses ; bitcoin and PerfectMoney for SEPA. Who trusts people online anyway?